Which attacking midfielder will Milan buy this summer? With the season nearing its end, our thoughts uncontrollably switch to potential new signings that will make the scudetto-winning Milan side stronger, more complete and more balanced. Therefore we decided to ask your opinion as to who exactly Milan will buy to fill the critical position behind the strikers. Before I give my own prognosis, I'd like to address a more pressing issue. 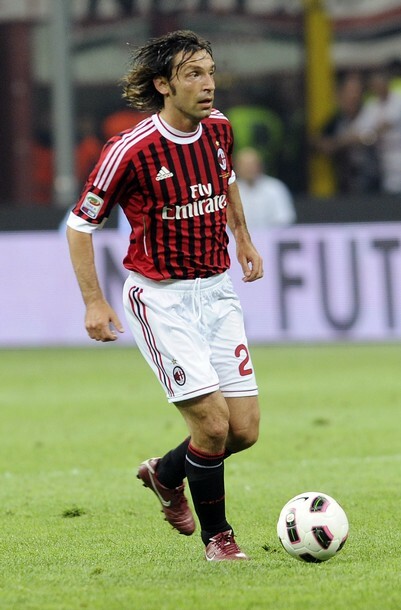 We will never again see the great orchestrator of Milan's last two Champions League successes in red and black stripes. It's a sad day, but one that had to come sooner or later and we can only hope that this move is part of a masterplan that will bring success to the club in the long term. A part of me can't help but feel Pirlo could have contributed a few more years but what's there is there, and this summer will see a new player with more dynamism take the role of the midfield maestro. As for reinforcements, there will be a 'dream signings' post next week but for now, I'll try to be strictly realistic when looking at solutions for the attacking midfield area. Hamsik would be the hardest to come by, Napoli is in a very good financial position and they'll be playing Champions League football next season. Next hardest would be Pastore because Milan's relationship with Palermo isn't one of love and they're not in dire need of money either. It may just take an astronomical figure to persuade them. If Berlusconi is willing to part with that kind of money, I'd love to see Pastore behind our strikers as he has all the makings of a magnificent player. As long as Milan's Brazilian squadron accept the Argentinian as one of them, I see no problems with his potential addition. Nasri is one year away from the end of his contract at Emirates and, if he refuses to sign a new deal, he's likely to leave this summer. Arsene Wenger makes it a point to cash in on his young stars and Nasri would be no different. One of the cheapest solutions out of the bunch and at the same time one of the most proven and versatile, Nasri might be a player Allegri would push for if Hamsik and Pastore are out of reach. There's been so much talk about Ganso, I don't know what to think. Is he really that injury prone? Will he get better or will he stagnate until Milan gives up and sends him to Turkey? It's a gamble. He doesn't seem like the most clear-minded and determined person from what I've heard him say, but he does have friends in Milan so it's on Galliani and Allegri to judge how much potential he really has. Lamela is a complete mystery to me but it seems within reason that Milan will sign him even if someone else is brought in, considering his age and relatively low price-tag. That's it for today, feel free to share your thoughts in the comment section if you like.